A very economical book rack. 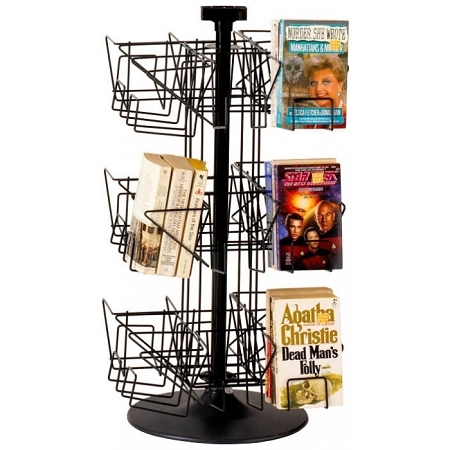 This book rack holds between 72 and 96 standard paperback books. There are 24 total pockets?pocket size is 4-1/4"W x 9"H x 3-3/4" deep. Pockets hold books up to 4-1/4" wide. Black powder-coat finish. Includes sign holder & black plastic base. Dimensions: 30"H with a 20" spinning diameter.